It's the last day of the quadriphase-coded EISCAT experiments. Today we will run some plasma line studies. 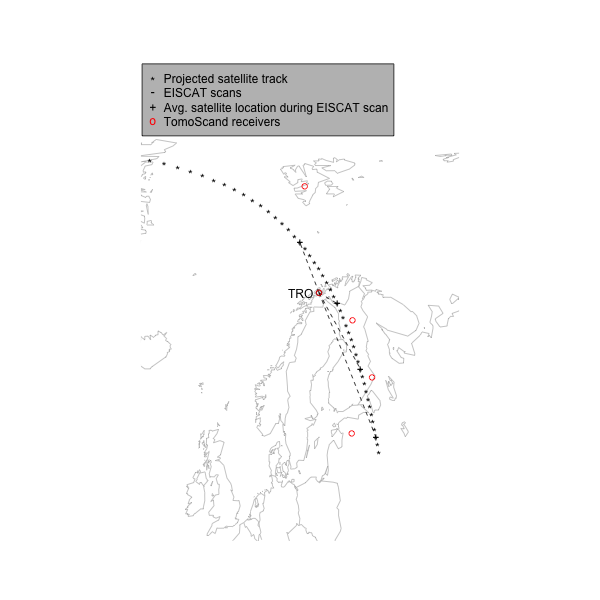 In addition, we prepare for the upcoming TomoScand campaign (8-10 June), where our objective is to verify TomoScand ionospheric tomography reconstruction against EISCAT measurements. 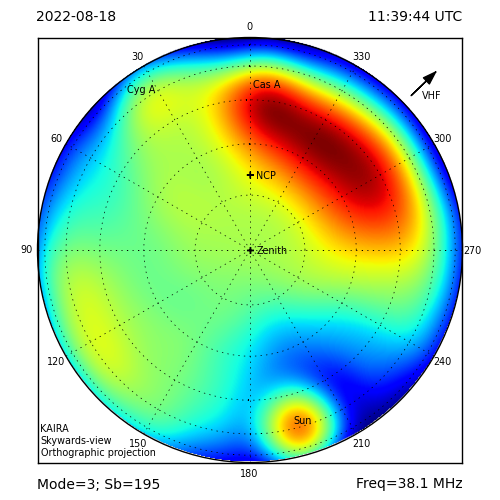 Below is a figure of one of the projected CASSIOPE satellite trajectories. 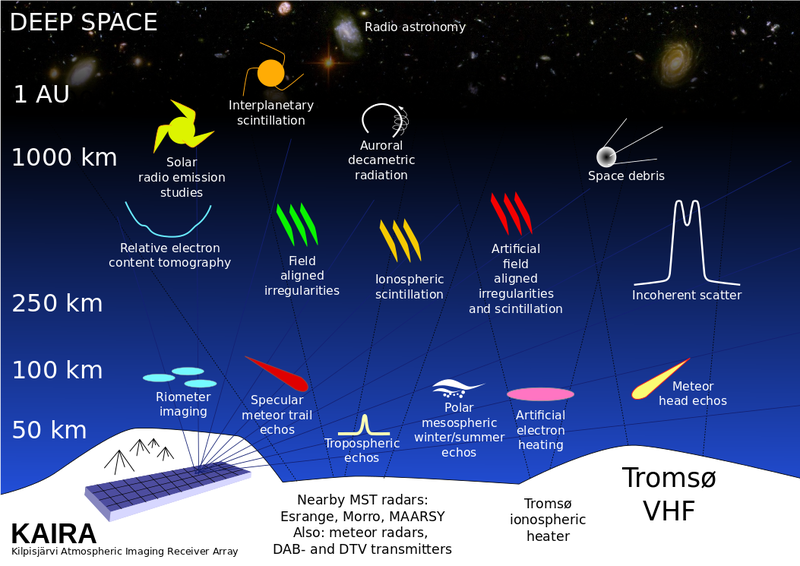 Hence, today we study, if we can use quadriphase-coded experiments in a tracking campaign! We will commence the operations at 10:30 UT! ... and today after the experiments, I will drive back to Sodankylä (ETA midnight)! ... and on Sunday evening I will fly to Uppsala to the EISCAT_3D User Meeting 2014 ! !